It is a maiden venture of Seapol group and a transition from service industry to manufacturing. 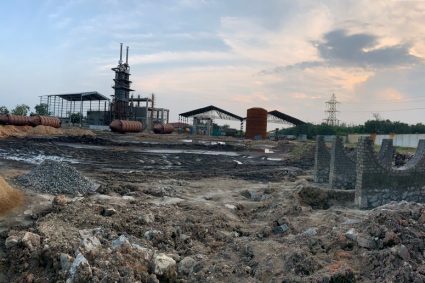 EASTERNBULK LIME PRODUCTS PRIVATE LIMITED, with its manufacturing plant in Tuticorin, Tamil Nadu, India, signed a contract with Maerz Ofenbau AG for the supply of materials and equipment for a Maerz 2-shaft lime kiln. 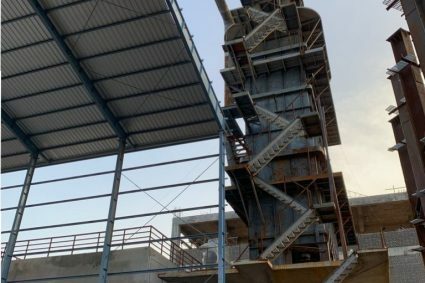 The new kiln of the rectangular type E2 will process limestone from the Middle East, with different gradings 40mm to 80mm to produce 150 tons of quick lime per day. Hard coal dust will be used as fuel. Calcium oxide (CaO), commonly known as quicklime or burnt lime, is a widely used chemical compound. 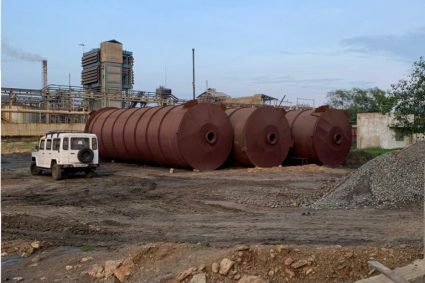 The production of quick lime to be used begins with the mining of high quality limestone or calcium carbonate (CaCO3). Limestone is heated through the combustion process to break up. When the chemical reaction occurs, the limestone becomes quicklime or calcium oxide (CaO). Calcium oxide is usually made by the thermal decomposition of materials, such as limestone or seashells, that contain calcium carbonate (CaCO3; mineral calcite) in a lime kiln. This is accomplished by heating the material to above 825 °C (1,517 °F), a process called calcination or lime-burning, to liberate a molecule of carbon dioxide (CO2), leaving quicklime. Quicklime is a component of the variety of things we use in everyday life. The house we live in consists of steel, glass, wires. Food we eat, such as sugar and food additives. Some types of containers we use, such as coffee mugs that are naturally biodegradable. Metal products and aluminum, even paper and stationery items, they are all products that require lime and related products in the production process.